There is no suitable standard for the detection of blue whitish veil atypical vascular pattern and regression structures applied to skin lesion images. This information however is important in assessment of melanoma in skin dermatoscopic images. Thus there is a need for development of image analysis techniques that satisfy at least subjective criteria required by dermatologists. 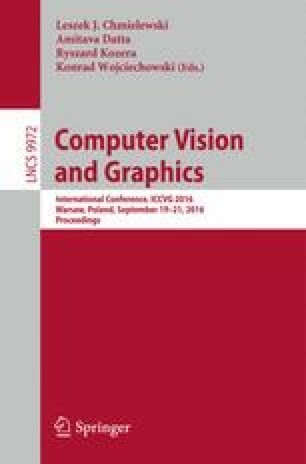 In this paper the application of color based image features for detection of blue whitish veil and atypical vas-cular pattern is presented. Preliminary test results are promising; for analyzed melanoma images the accuracy of developed methods provides 78 % correctly detected blue whitish veils, 84 % correctly detected atypical vascular pattern, and 86,5 % correctly detected regression structures. This paper is a contribution to the computer aided diagnostic system implementing the ELM 7-point check-list aimed at melanoma detection.